He may have been on the losing side in the World Cup final, but it seems that Lionel Messi is still EA's promotional choice for their upcoming football sim. EA Sports has announced that theBarcelona striker will adorn the cover of FIFA 15, making it the fourth time that Messi has appeared in FIFA's box-art. 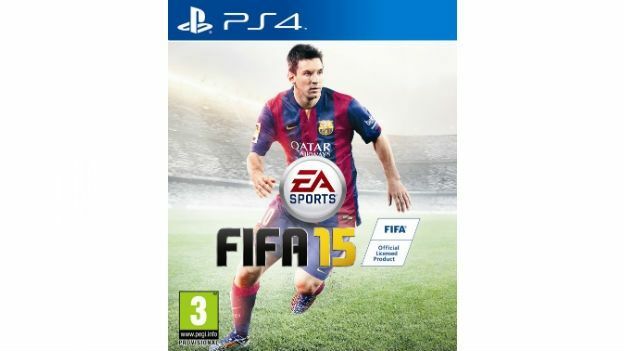 As has been the case in the past, Messi will be joined on regional covers of FIFA 15 by a selection of local players. EA Sports has also announced that not all of FIFA 15's features will be available on every single platform. FIFA Ultimate Team Legends, for example, will be exclusive to the Xbox One platform. FIFA 15 will be released across multiple platforms - including Wii, 3DS, PC, Xbox One, Xbox 360, PS4 and PS3 - on September 26th.